Director José Padilha Eyes Michael Fassbender For "Robocop"
Director José Padilha is currently working on a script for his upcoming RoboCop remake and actors such as Chris Pine, Keanu Reeves, Tom Cruise, and Johnny Depp have been mentioned as possible candidates to star. But while in Holland, Padilha spoke on the project in a chat with Brazilian TV channel Globo1 and a peculiar name came out of Padilha&apos;s mouth. "I really like the Fassbender, I&apos;d like to talk to him—I&apos;ll talk to him." 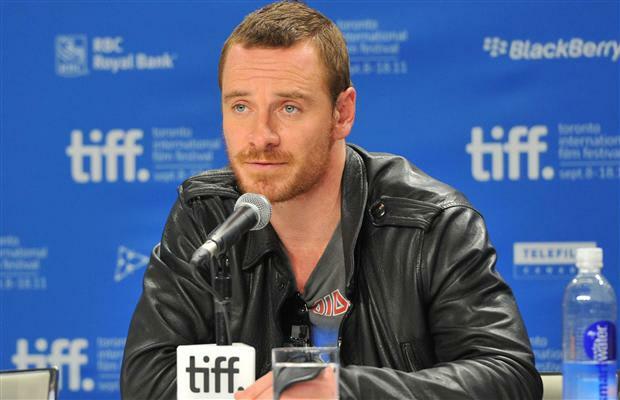 Yes, that&apos;s right, Michael "The Fassbender" Fassbender is Padilha&apos;s first choice to play the cyborg crimefighter. For those who have never seen any of the 1987 Paul Verhoeven sci-fi actioner, Fassbender would play Alex Murphy, who is brutally murdered and subsequently re-created as a super-human cyborg in a futuristic crime-ridden Detroit City. The Elite Squad director hopes to begin shooting next year and is looking to strike gold since the past three RoboCop films have made over $109 million worldwide. With a buzz growing since stealing the thunder from James McAvoy in X-Men: First Class—is The Fassbender the only guy you can envision in the part?